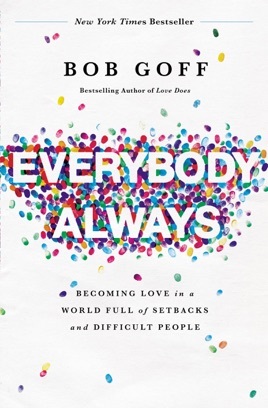 Driven by Bob’s trademark storytelling, Everybody, Always reveals the lessons Bob learned--often the hard way--about what it means to love without inhibition, insecurity, or restriction. From finding the right friends to discovering the upside of failure, Everybody, Always points the way to embodying love by doing the unexpected, the intimidating, the seemingly impossible. 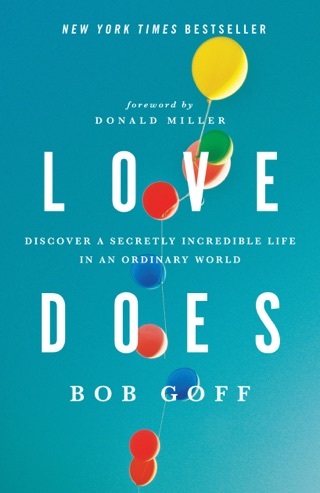 Whether losing his shoes while skydiving solo or befriending a Ugandan witch doctor, Bob steps into life with a no-limits embrace of others that is as infectious as it is extraordinarily ordinary. Everybody, Always reveals how we can do the same. 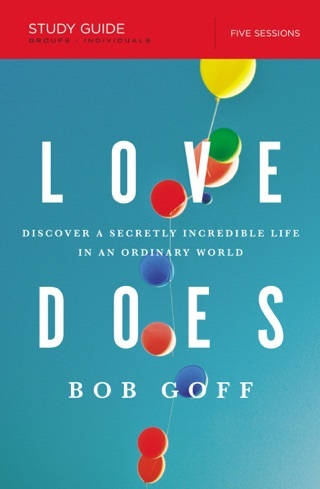 With his friendly manner, motivational speaker Bob Goff delivers hard truths on a pillow of warmth and inspiration. His easygoing approach grounds Christ’s lofty messages—in this case, “love your enemies”—in personal stories that offer subtle guidance. 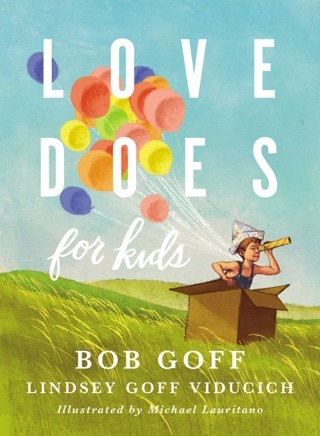 Goff doesn’t sugarcoat the idea that learning to live a life of unconditional love is really tough, but he leaves no question that the benefits of this good work will last forever. And he knows the power of laughter: when Goff isn’t touching your soul, he’s tickling your funny bone with reflections on his globe-trotting hijinks. 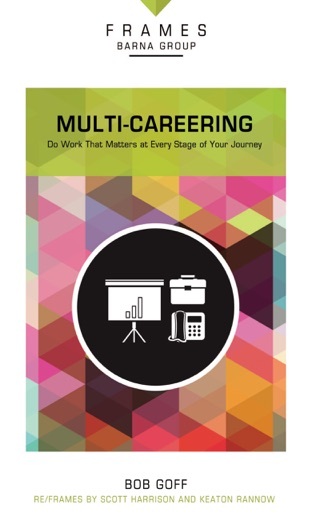 If your heart is in the right place this book will change you. An amazing read. Inspirational. So happy I picked up a copy! As a mother of a one year old, I read my bible and story books. 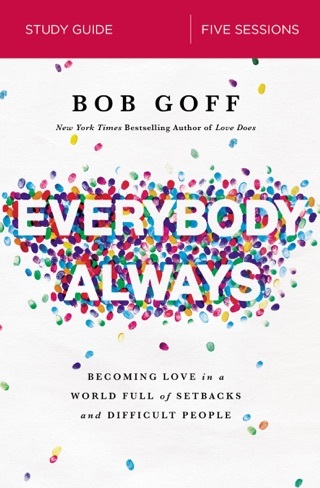 I have taken little to no time over the past year to read until I found Bob Goff. I read Love Does and Everybody, Always in the span of two weeks. They have revamped my faith, challenged me in ways I didn’t know I needed to be challenged, and changed my day to day life. I know Jesus more because I have read these books. 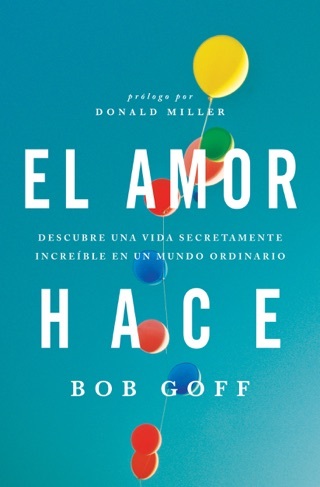 Thank you, Bob Goff.